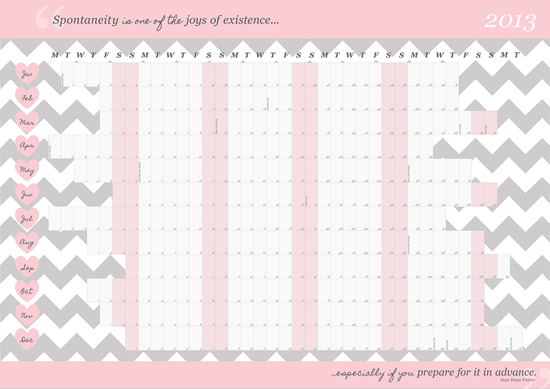 We came across these gorgeously fun yearly calendars designed by the talented I Am Nat, and thought we had to share them with you! 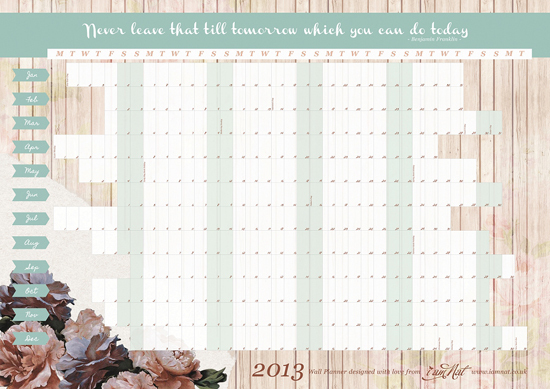 They are just perfect for brides to plan their engagement year and see in full view how long they have to go... or they could be just perfect for you at home, to put next to your desk and dream about your year plans all day long. Natalie is a designer from Yorkshire who specialises in wedding stationery, and we just love both the natural feel of the first calendar, and the modern feel of the chevron one. If you would like to purchase one from her, click here or email her at natalie@iamnat.co.uk. Enjoy!